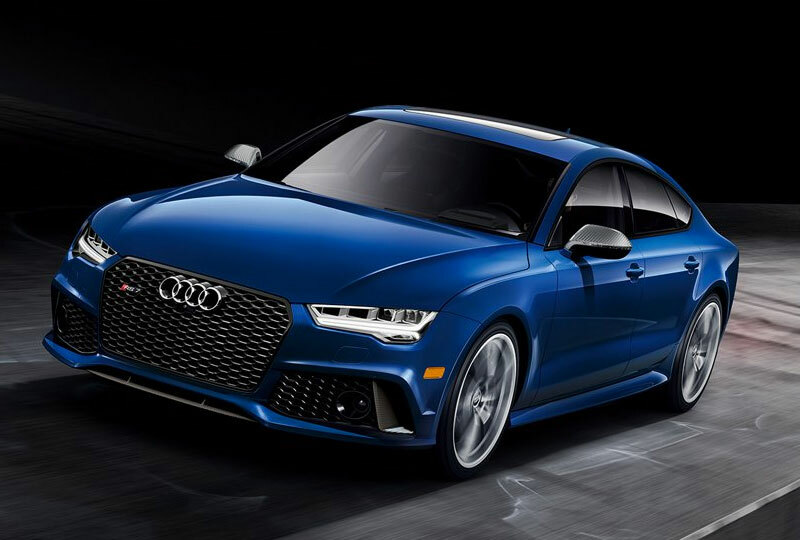 The 2018 Audi RS 7 from Audi San Diego in California, serving La Jolla and University City, is a sporty sedan with unbelievable power within. The iconic design features low stance and aggressive front end with an RS SingleFrame grille leading the charge. Full LED lighting creates a bright display and the 4.0L TFSI turbocharged V8 engine astonishes everyone with the sound of 560 horsepower. Control this beast with the flat-bottom steering wheel while you lean back into the leather-trimmed seating. An available blue contrast stitching can add a sense of style that can only be found in your 2018 Audi RS 7. 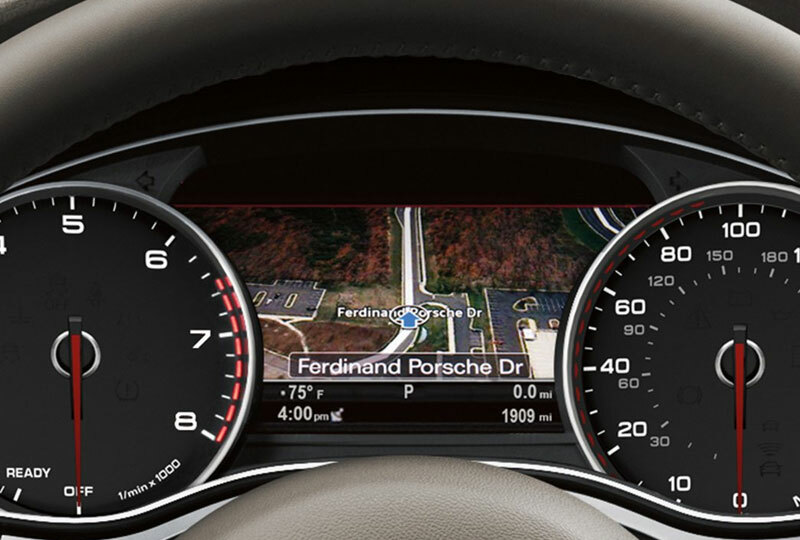 Connect your mobile device to the standard Audi smartphone interface and keep tabs on your speed and trip information with the available head-up display. A standard MMI touch controller uses your handwriting to signal commands for your intuitive technology features. Today is a great day to buy a new 2018 Audi RS 7! We have a great 2018 inventory, so call us today at 866-980-4112 to schedule your test drive or visit our showroom at 9010 Miramar Road, San Diego, CA. We can't wait to put you in the 2018 Audi RS 7 of your dreams! The 2018 Audi RS 7 looks fast even when it's still. 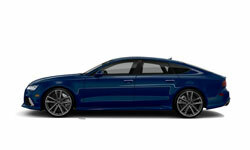 From the RS model Singleframe® grille and oval exhaust outlets to the full LED headlights and taillights, this is a luxury performance sedan with incredibly moving parts. Words struggle to define the feeling of having a twin-turbo, 4.0-liter V8 TFSI® engine that turns out up to 605 hp and 553 lb-ft of torque at your command. In the city or on the highway, the 2018 Audi RS 7 performance just has the remarkable ability to render even the most seasoned drivers speechless. Utilizing a system of aspherical mirrors, available head-up display projects customizable driving- related information and warnings on the windshield, so you can keep your head up and your eyes on the road. 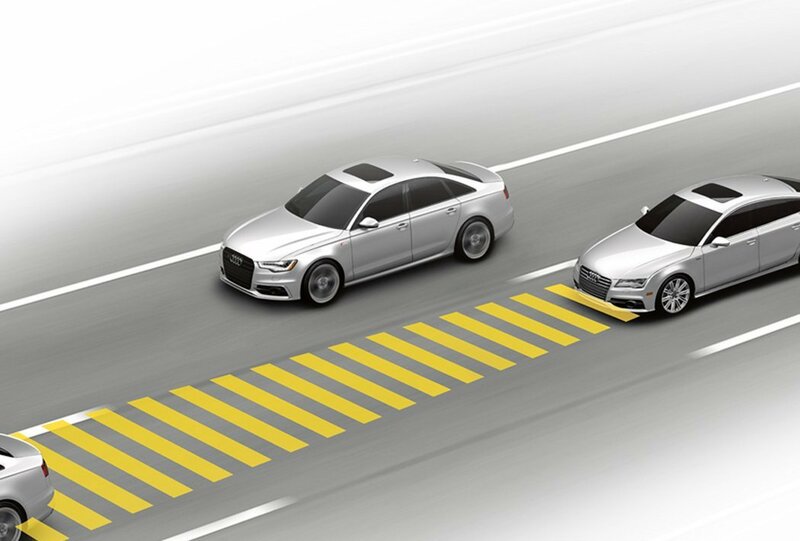 Using the camera mounted in front of the rear view mirror housing, the available Audi active lane assist uses sophisticated processing software to observe lane markings and can provide gentle steering wheel warning vibrations if the vehicle is approaching the edge of the lane without signaling.